Yoyo Joins S.H.I.E.L.D. Full Time! Marvel’s Agents of S.H.I.E.L.D. – Elena ‘Yo-Yo’ Rodriguez (Natalia Cordova-Buckley) – Photo by Matthias Clamer/Courtesy of ABC. Marvel Television announced today that Natalia Cordova-Buckley has been promoted to series regular for the fifth season of the ABC series Marvel’s Agents of S.H.I.E.L.D. ABC and Marvel Launch Slingshot Digital Series! Marvel’s Agents of S.H.I.E.L.D. character Elena ‘Yo-yo’ Rodriguez is the subject of a new six-part digital series from Marvel Television and ABC Studios. Slingshot will fill in some of the blanks in Elena’s backstory as she balances all the complex factors that have come to impact her life. Characters from the mothership series will figure into Slingshot as well. for details – and the relevant viewing platforms – read on. Meet the New Director of S.H.I.E.L.D.! Marvel Television today named Coulson’s successor as Director of S.H.I.E.L.D. – Jason O’Mara (Life on Mars, Terra Nova) steps into the commanding role as a character whose Marvel roots go back to the ’40s. Follow the jump for more. 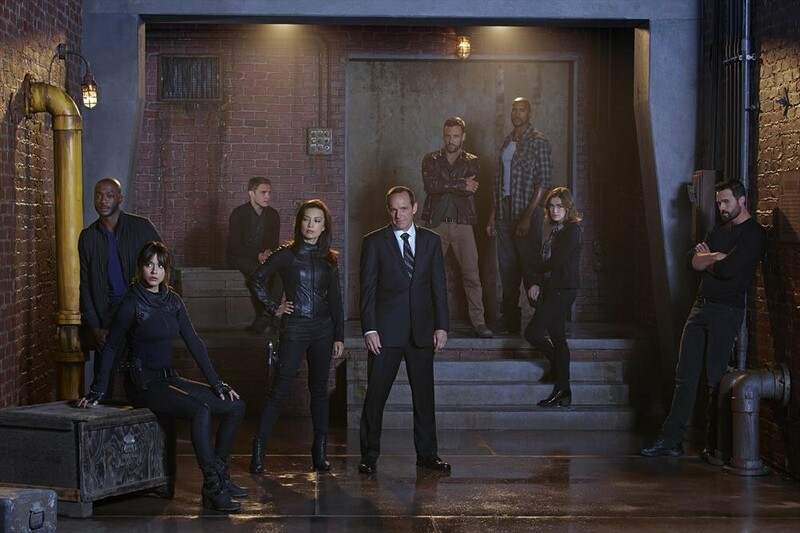 ABC and Marvel Television Launch Marvel’s Agents of S.H.I.E.L.D. : Academy! 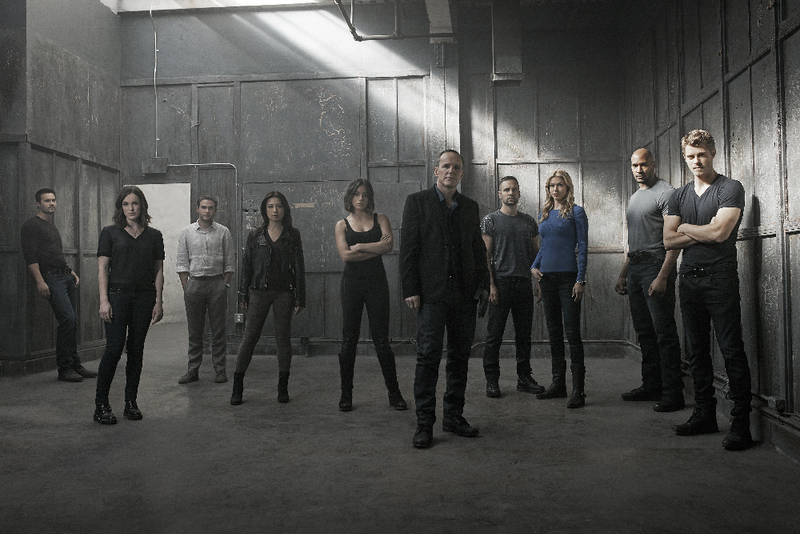 ABC Entertainment and Marvel Television are launching Marvel’s Agents of S.H.I.E.L.D. : Academy. Sponsored by Lexus, Marvel’s Agents of S.H.I.E.L.D. : Academy” debuts today on MAoSAcademy.com, ABC.com and the WATCH ABC app. Viewers can log on to watch as three diehard fans compete in a series of tests – encouraged by stars of the series – with the objective of appearing on Marvel’s Agents of S.H.I.E.L.D. as an actual agent. Follow the jump for details. UnS.H.I.E.L.D.ed Teaser: Marvel’s Agents of S.H.I.E.L.D. : Bouncing Back! The first clip from Marvel’s Agents of S.H.I.E.L.D.’s return has surfaced and it’s a bit of a mind-bender as Director Coulson consults with Agent Fitz about Lincoln. And what lurks behind that secret door…? Check out the clip after the break. Marvel’s Agents of S.H.I.E.L.D. returns on Tuesday, March 8th (8/7C). Fiery Teaser: Marvel’s Agents of S.H.I.E.L.D. The opening sequence of the third season premiere of Marvel’s Agents of S.H.I.E.L.D. introduces a new Inhuman; gives us our first look at Constance Zimmer as Rosalind Price – head of a government agency that is hunting down Inhumans for other purposes than to acquire their help or protect them. The new Inhuman, Joey, has the ability to melt metal with his bare hands and is trapped by Price’s people when Daisy, Mack and Hunter arrive on the scene. Suffice to say, Marvel’s Agents of S.H.I.E.L.D. is stepping up its game in a major way when the show returns to ABC on Tuesday, September 29th (9/8C). Check out the opening sequence after the jump.